Therapy must be tailored to the individual child based on their needs, ability and family circumstances. 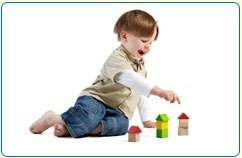 A thorough initial child-centred assessment is carried out and a detailed report provided. Following the assessment, the number of therapy sessions will be agreed upon. Dr Mandy is experienced in carrying out cognitive (intellectual) assessments with children. A detailed report is provided.